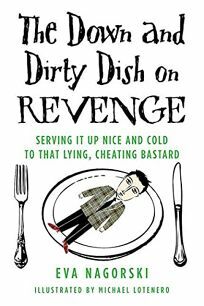 Cautioning readers against getting arrested, Nagorski proceeds with ""your recipe book"" of revenge, a tongue-in-cheek guide to achieving vigilante justice for relationships gone bad. A writer, director and producer in New York, Nagorski handles all the angles, taking a historical-cultural look at methods for dealing with marital transgressions; the ancient Egyptians, for example, whipped a man ""a thousand times with rods"" for cheating, and sliced off a woman&apos;s nose. Modern-day retribution pales in comparison, evidenced in tales of recent celebrity breakups, chapters devoted to payback songs (e.g. Hilary Duff&apos;s ""Dignity,"" Kelly Clarkson&apos;s ""Never Again"") and movies (e.g. Fatal Attraction, A Perfect Murder). Jilted women may find her barbed thesis on heartbreak-thinking about revenge can be as satisfying as exacting it-cathartic and a bit comforting, but might want to stay away if the wound is too fresh.